1 How Does Salicylic Acid Work? 1.1 What Does it Treat? Salicylic acid is known as a beta hydroxy acid (or BHA as more commonly known). 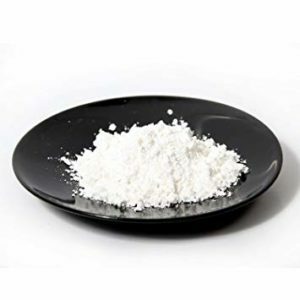 A derivative of aspirin, salicylic acid is commonly used in topical skin care products for its natural ability to exfoliate and unblock pores while acting as an antibacterial agent. It can treat a manner of skin complaints, ranging from acne and psoriasis to dandruff to warts and corn removal. Salicylic acid is naturally found in certain foods and can be found in cosmetics, toothpaste, shampoos, and sunscreen to name a few examples. It helps to ‘dissolve and peel’ the bonds between the surface skin cells by its peeling (keratolytic) exfoliating action which helps to unclog pores and it can help reduce the amount of oil (sebum) that the skin produces, leaving the skin less oily, less inflamed and red and less prone to blemishes. The most common form of salicylic acid is in a liquid, gel or cream formulation which should be applied directly to the affected areas of the skin. It is especially effective on blackheads and whiteheads but for it to work effectively, it needs to be used regularly to keep breakouts at bay. However, not everyone’s skin will tolerate salicylic acid as it can be extremely drying and cause flakiness, inflammation, and even worsening of acne. It is usual for the skin to get worse primarily at the start of a new treatment but if your skin remains inordinately irritated, it is best to discontinue use and consult your GP. If you are allergic to aspirin or salicylates, you should AVOID Salicylic acid altogether. It is usually instructed to build up your use of salicylic acid gradually to determine your skin’s sensitivity, for example, start by using it a couple of times a week as opposed to every single day. The most common form of salicylic acid is in a liquid, gel or cream formulation which should be applied directly to the affected areas of the skin as per instructions. This is normally once in the morning and again before bed, though this can vary on the potency of each product. There are a plethora of skincare solutions out there, but one that stands head and shoulders above the rest is Exposed Skincare. Made in the USA, it’s a clever mix of scientific and natural ingredients. It’s one of the best selling acne products in the world, its readily available here in Ireland and comes with an industry-busting cash back guarantee that assures buyers of a full refund should they be unhappy with the results.